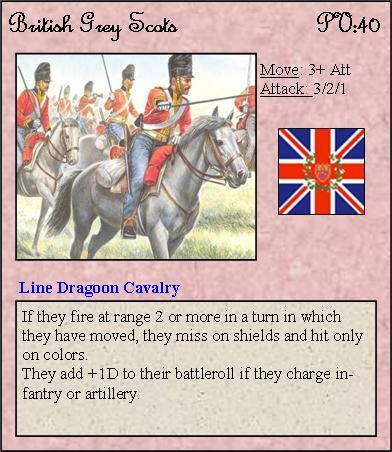 The elite of the British cavalry. 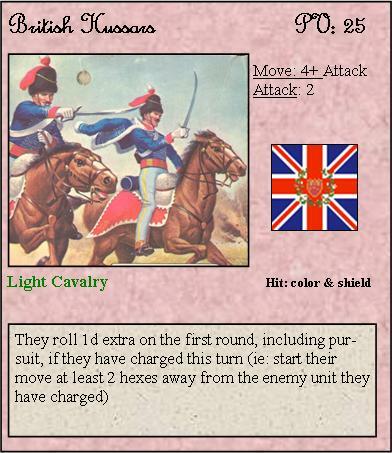 When making use of our light cavalry rules, this is a very useful unit indeed. 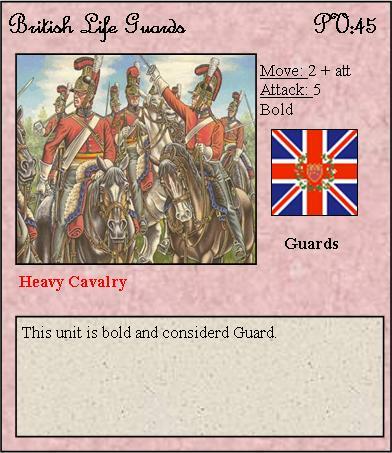 These versatile unit can fire like infantry, but pack a punch when charging. 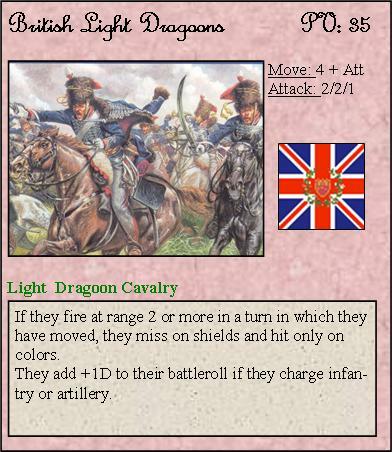 British light cavalry. Hussars were famous for their fierce fighting. Today, there have been 6 visitors (25 hits) on this page!